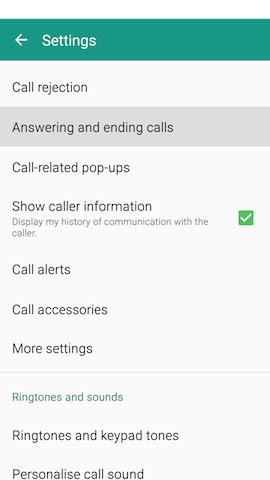 Android™ 5.0, Lollipop: What are the different call answer and end options on my Samsung Galaxy Note®4? You have options for answering and ending calls that include using motions and voice control. 3. 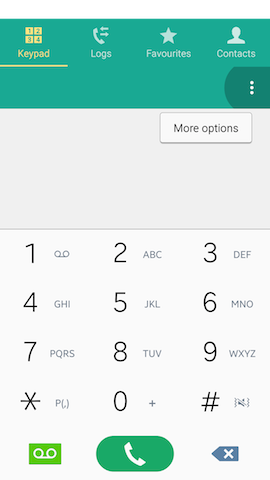 Touch More options > Settings. 5. Touch Answering and ending calls. 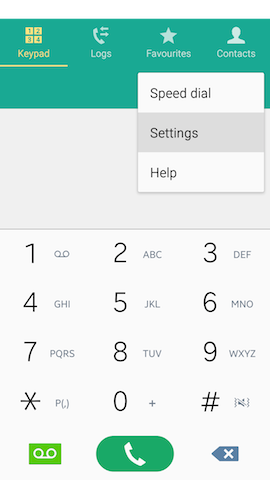 • Mark the Pressing the home key checkbox to answer calls using the Home key. 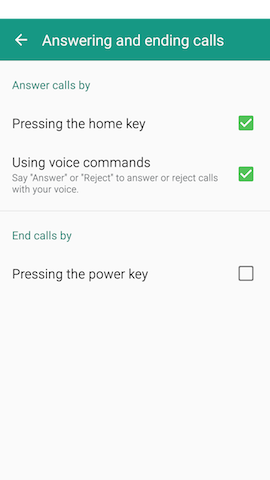 • Mark the Using voice commands checkbox to answer or reject calls by saying "Answer" or "Reject." 6. 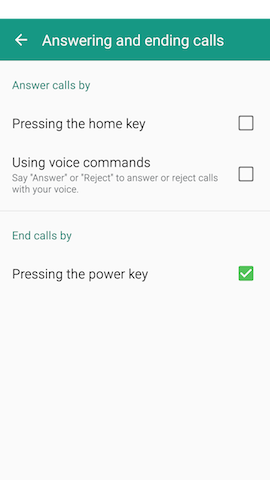 Mark the Pressing the power key checkbox to end calls using the Power/Lock key on the side of the device. 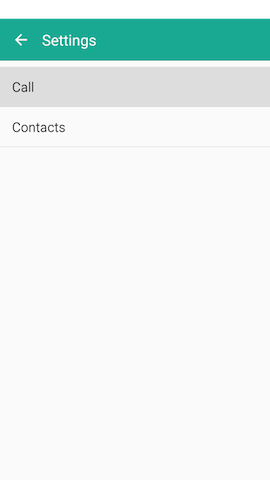 Note: To access call settings from the Home screen, touch Apps > Settings > Call.